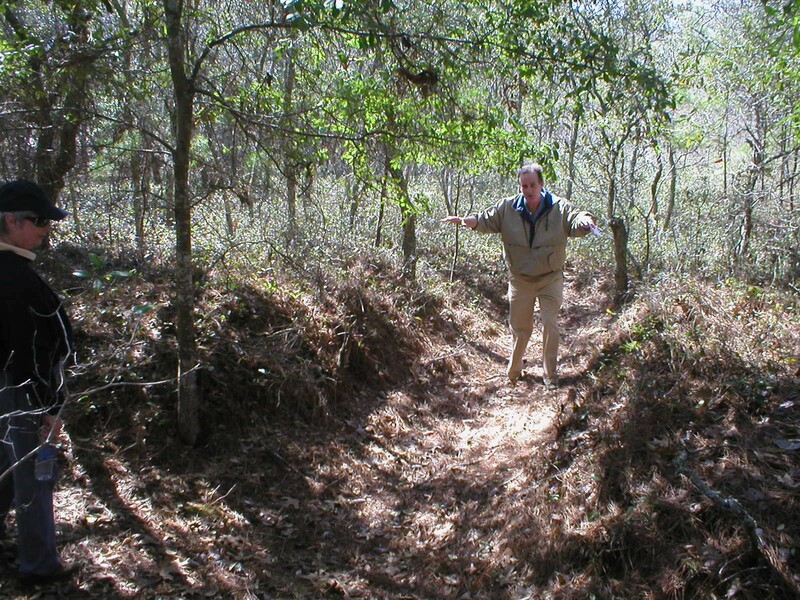 Again this year, on Saturday March 21, 2015, our esteemed Society member and UNC-W History professor, Chris Fonvielle, will lead a fascinating walk through the remnants of General Robert Hoke’s Sugarloaf-line-of-defense. These embankments and earthworks, which kept the Union army from taking Wilmington for over 30 days, is still largely intact and can be seen if you know where to look. Dr. Fonvielle’s walk will take the group through these lines and discuss Hoke’s defense of the east bank of the Cape Fear River. Due to the overwhelming popularity of this program we will be taking reservations (by phone or in person) this year. To reserve your spot call the History Center at 910-458-0502 and leave a message. We will call you back to confirm your reservation. Or e-mail your request to rebecca@federal-point-history.org. A donation of $5.00 (minimum) is appreciated and will go to the Sugar Loaf Civil War Earthworks Preservation Group Project.